Practical, yet still packed with standard features and many options from which to choose, the Pinnacle is a remarkable blend of form and function. The Pinnacle is cost effective, but still uncompromising in strength, versatility, and function. Energy saving glass options and many divided lite patterns to choose from make it easy to select what is right for your budget. Choose from our Energy Smart and Solar Smart glass options to make your room more energy efficient. You can add your own designer touches to your patio doors with our many different divided lite and decorative glass options. 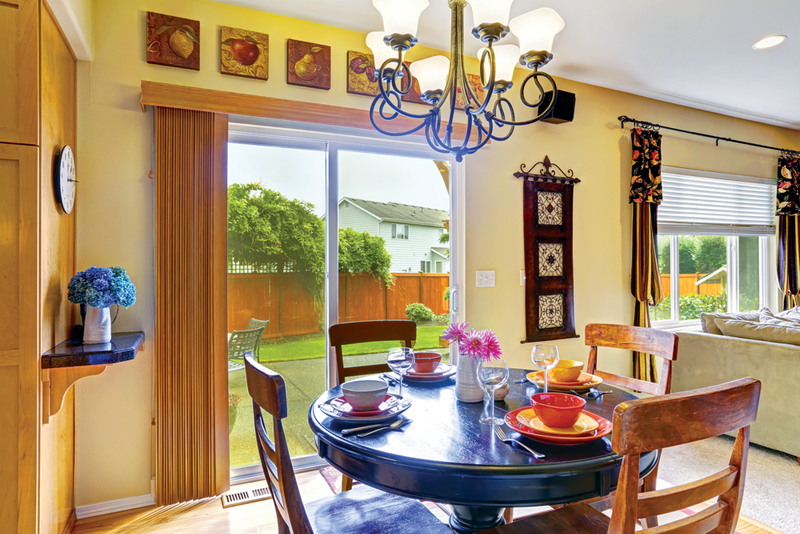 We offer many options to give your patio doors a distinct accent. Available in standard and custom sizes in 2, 3, or 4 panel configurations. Choose from 3 standard colors: Cream, Beige, or Clay or one of 12 exterior colors to further customize your design. 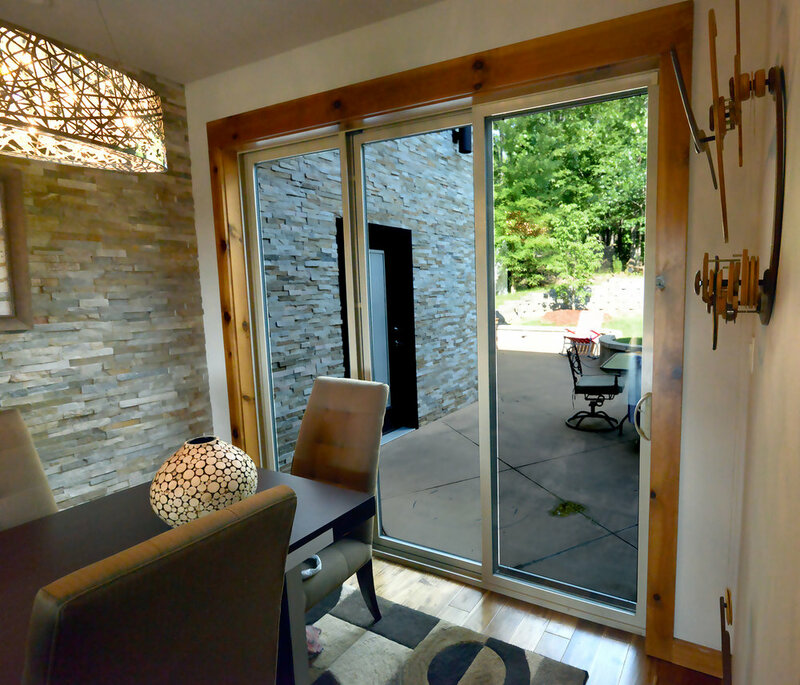 With Pinnacle Patio Doors there’s no need to sacrifice aesthetics for performance. Our doors are designed to enhance the look of your home and keep it safe from the elements. 1” thick insulated glass unit with the Intercept Warm-Edge Spacer System saves energy year-round by reducing the transfer of heat and cold. Precision-engineered tandem roller system ensures quiet and easy operation of the door panel. Deep interlocks with a protective bulb weatherstrip deliver increased insulation and a tight seal. 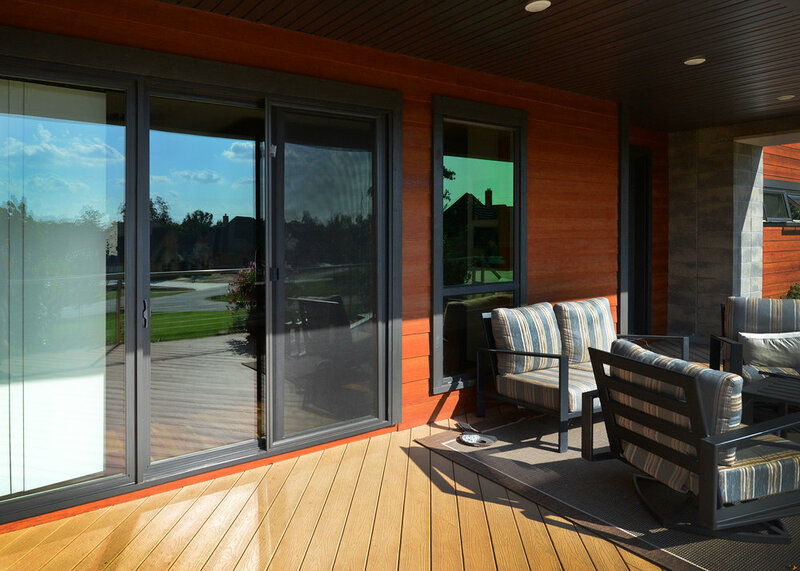 ENERGY STAR qualified Smart Glass insulated glass package options. Optional Multi-point locking system with strong steel hook design seals the door tightly closed and helps prevent energy loss. Optional Keyed exterior lock offers convenient access from outside the home. Handle sets are available in White Beige Black and Brushed Nickle. Every WeatherBarr window is backed by a Lifetime Warranty, for your peace of mind. Ask your dealer for more details. WeatherBarr windows ordered with Smart Glass options are ENERGY STAR qualified in many areas of the country. See a complete listing of NFRC ratings for all WeatherBarr windows.